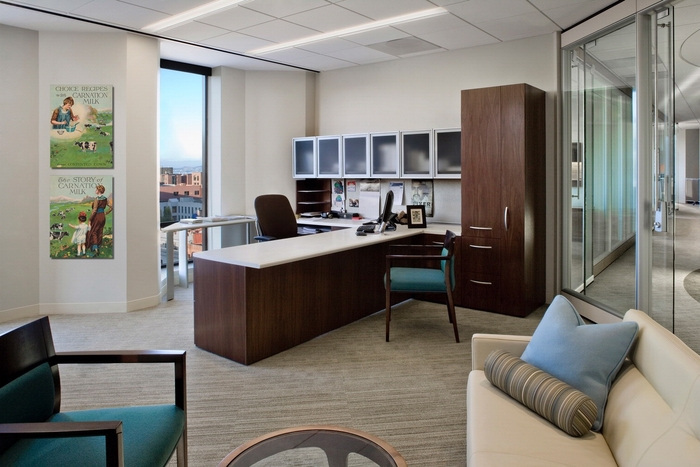 The Stuart Foundation, a San Francisco-based non-profit, recently relocated to a new 12,500 sq. ft. headquarters with the help of global design firm HOK. 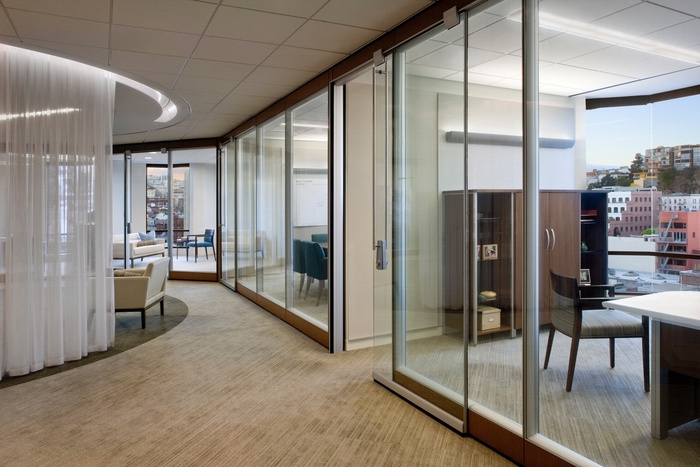 In addition to simply moving locations, the new design works to align the office environment with the firm’s organizational structure and goals. “Stuart Foundation’s previous facility did not allow for group collaboration or promote staff communication, and the support spaces were inadequate. Stuart hired HOK to study not only how their new facility would spatially meet their needs, but also how the facility could improve the way its teams interact. HOK’s strategic planning group led an off-site workshop to facilitate a collaborative period of discovery. The Foundation’s staff reached a consensus that the new headquarters should not only have more generous common spaces, but should also have smaller-sized personal spaces. This organizational change resulted in a plan which links individual private spaces through the shared common spaces, thereby creating more casual interaction amongst the staff. Since the program requirements did not support a full floor, the Foundation also had the opportunity to include an “incubator” space, which could be used by their partner organizations in child welfare and education. This flexible area promotes the project’s collaboration goals with touch-down work stations and offices for individual visitors, as well as provides short-term professional space for groups benefitting from Stuart’s philanthropic mission. Other common spaces include a large multi-media conference room, which can be opened to the adjacent reception area for entertainment functions, a dedicated project work room and an adjacent staff commons.